You can tell we're coming down to the wire when Marvel drops Avengers: Endgame like a ton of bricks, or a giant sack of money, into theaters. In the last few days we've had a new trailer, the reveal of its 3-hour runtime, and a batch of posters that still have the Internet buzzing. But that's not enough because now there's a new featurette for eager fans to check out. Marvel has done a bang-up job of keeping the film spoiler free and you won't find anything new here, either...well, except that Marvel is referring to the last couple of Avengers movies as The Infinity Saga. Makes sense, and it'll make for a nice boxed set someday soon. Basically, what you're getting is stars Robert Downey, Jr., Chris Evans, Scarlett Johansson, and Chris Hemsworth talking about Endgame and its impact on the MCU. You know how these things go. 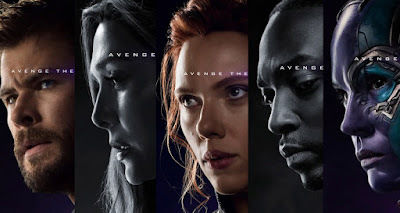 So check out the Avengers: Endgame featurette below and try to keep cool until the film arrives on April 26th. All of those "fallen" Avengers in the posters are probably coming back.